The Pre-Built Tiger Coils by FreshCoils are a great option for those looking for an enhanced quality of flavor in DIY tanks like rebuildable dripper atomizers, rebuildable tank atomizers, RDTA hybrids and even sub ohm tanks that offer RBA options with either single, dual or quad coil configurations. These pre made sub ohm coils feature a 32/36 AWG constructed from a premium A1 Kanthal wire (FeCrAl) for variable wattage vaping. A 2mm diameter provides plenty of room for wicking and a total of 5 wraps gives you a 0.3 ohm build that offers an unprecendented quality of flavor and vapor production, perfect for high wattage vaping. 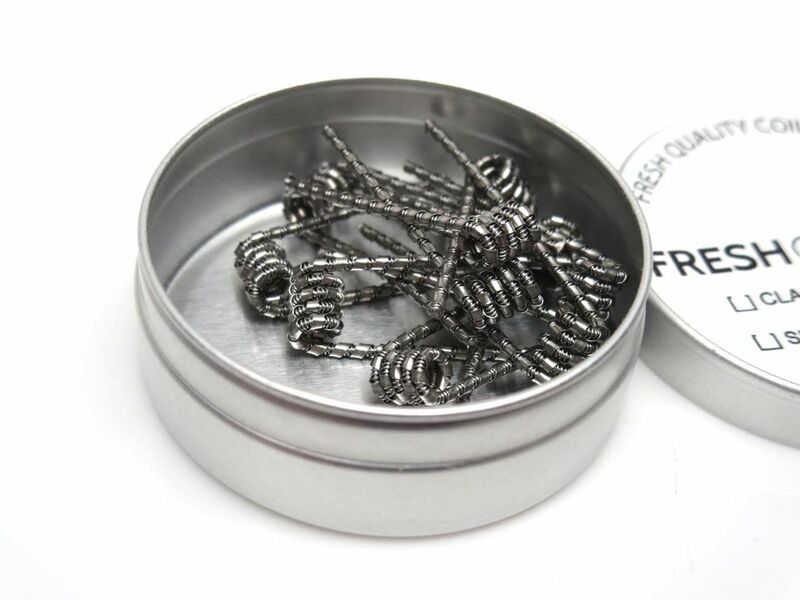 Please note the Pre Made Tiger Coils by FreshCoils have an approximate resistance rating and may vary.